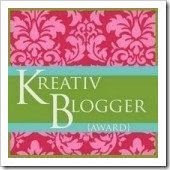 Thank you so much for the lovely award. That is so sweet of you to include me. I am so in love with your little "Home" collage. It's adorable! You are one talented gal. That is just the most darling little house! You did a terrific job with all of the textures and patterns! 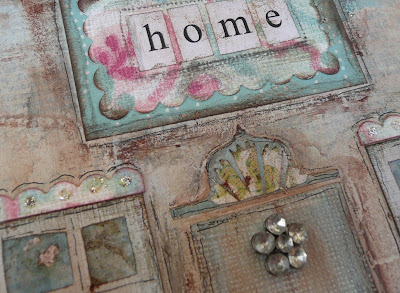 lovely home collage- everything you make is gorgeous Jeanne! 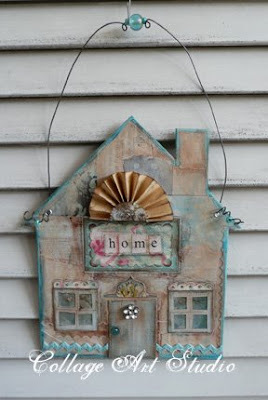 how cute your home collage is!! adorable! i love it!! woo hoo. Jeanne, i just saw your comment to me about the columbine...that is my very favorite variety...because it stays RIGHT where you put it...unlike other columbines that move themselves here and there...i think there a several other colors available too...it really is pretty!!! oh, that house is tooo darling! jessi is a lucky girl!